Medium density fibreboard is a well-known material for making furniture. Products made from MDF are usually high quality and affordable. However, buyers shun away from MDF products due to unfounded beliefs. The misconceptions arise due to lack of knowledge about MDFs. First of all, MDF is not substandard. It is a wood composite material made from wood fibres held together using adhesives. Modern furniture designers prefer using MDF because of its stability, strength and the various design options available. Just like solid wood, there is both high and low-quality furniture made of MDF. However, quality has nothing to do with MDF used to make it. Many people think that MDF is particle board. However, it is stronger, denser, and of higher quality than particle board. The production of MDF compresses the fibre tightly together living no space. Particleboard has large air spaces which makes it hard to work with. Many people have concerns regarding the safety of using MDF in home furnishings. The concern arises from the use of a resin containing formaldehyde during manufacturing. Formaldehyde is a toxin which may be released when cutting MDF. However, upon completion of the production process, the furniture is safe. A piece of furniture cannot release toxic chemicals to the environment. MDF can handle anything you do with it. You can nail, cut, and shape it. During production, the fibres are made by grinding wood chips. The fibres distribute themselves to form a homogenous panel. The panel comes in various thickness with smooth edges which can be moulded to different shapes. The small size of fibres creates a flat surface. Therefore, you can overlay MDF with decorative coatings like veneer and melamine. The exterior also produces a clean paint finish making it ideal for cabinets and furniture. MDF doesn’t expand or contract on exposure to heat or humidity. MDF is made from wood chips which are waste products from wood. Many people perceive it as the perfect way to further recycle and conserve trees. Furniture made of MDF is cheap in comparison to those made from plywood. 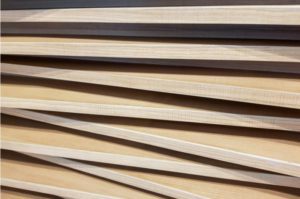 MDF has many domestic and commercial uses including shelving, making cabinets and furniture. You can order MDF from Theo’s Timbers Ltd. We supply various types of timber products in Manchester and throughout the North West, UK. How Should Timber Be Stored?